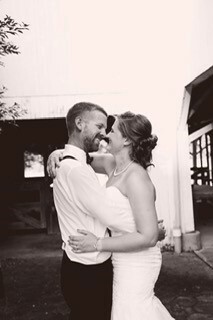 Joelle Loeber and Dakota Cornett were united in marriage on Saturday June 9, 2018 at 6 p.m. at the Love Family Farm in Devola. Pastor Ryan Miller officiated the outdoor double ring ceremony. The bride was given away by her mother Tawni Love. Joelle sang “At Last” by Etta James as she walked down the aisle to meet her groom. Her parents are Tawni and Allen Love and Bradley and Jolee Loeber. Her grandparents are Joan and the late Jack Powers and Nick and the late Doris Loeber, all of Marietta. 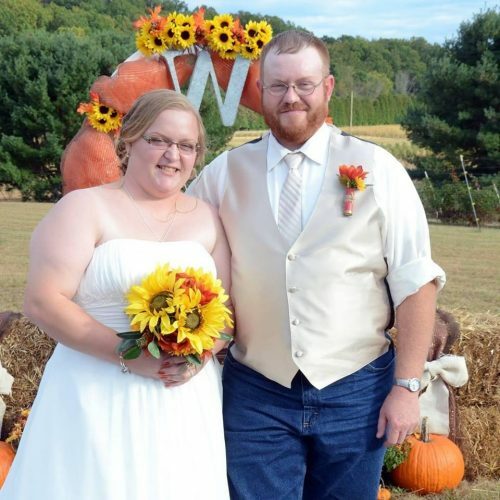 The bridegroom is the son of Kellie and Ken Cornett. His grandparents are Jerry and Suzanne Cornett, all of Ashville, and Les and Katie Smiley of Orient. 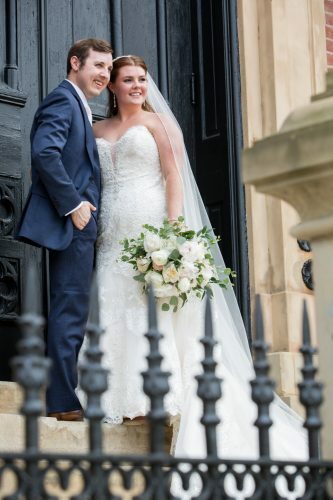 The bride wore a long-sleeved, vintage inspired fit and flare dress with a sweetheart neckline, accented with beaded straps. The antique lace gown included a see-through back with pearl buttons that lined the length of the dress. Sewn inside her dress was a heart made from one of her late granddad Jack’s dress shirts to ensure he was with her on her special day. 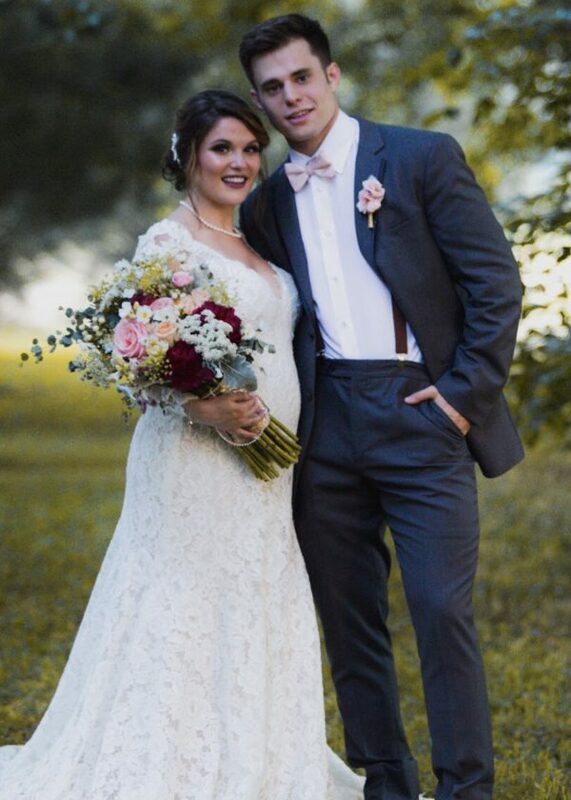 Her maid of honor was Paige Vest, matron of honor was Audra Love (sister of the bride), and the bridesmaids included Adrienne Green, Caitlin Love and Reagan Loeber (sisters of the bride), Samantha Vaughn, Jasmine Gutberlet, Ali Strahler, Aurora Held-Dodd and Vivienne Cornett (sister of the groom). Best man was Briar Perkins (brother of the groom). Groomsmen included Ian Ritchey, Gunnar Sutter, Justin Green, Nathan Warnock, Jake Betts, Nick Huggins, Zachary Loeber (brother of the bride), Elliot Dodd and Sean Betts (cousin of the groom). Ushers were Tyler Smith and Zak Dunham. Flower girls were Rieley Schmidt and Helen Rinard (nieces of the bride) and Victoria Cornett (sister of the groom). Ringbearers were Vander Schmidt and Hudson Rinard (nephew of the bride). A reception with dinner and dancing followed the ceremony on the lawn and music was provided by Chris Fouss of DJ Associates. 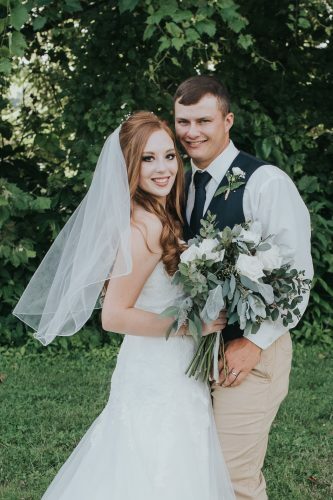 The bride graduated from Marietta College in 2015 with a BA in Advertising and Public Relations and a minor in Graphic Design and is employed by Magnum Magnetics. 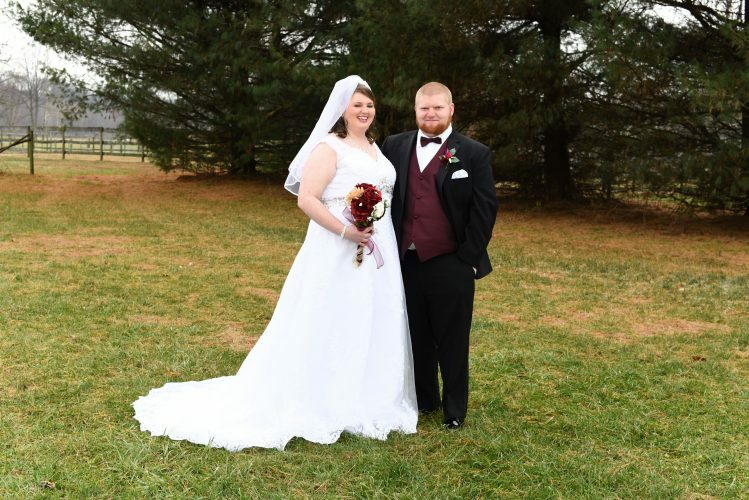 The bridegroom attended Ohio Dominican University and is the owner operator of Interstate Container Services in Columbus. 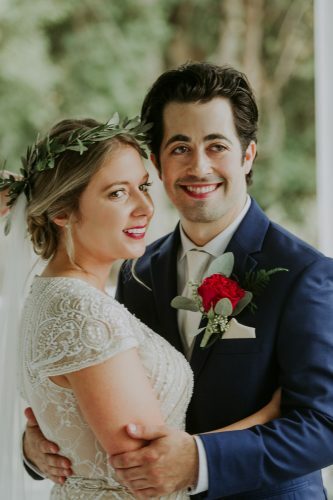 The couple took their honeymoon trip to Hilton Head Island and are residing in Devola.